It’s a New Year And (Apparently) Time for Yet Another Los Angeles DUI Golf Cart Arrest — This One at The Rose Bowl! 2015 opened with quite a spectacle, at least in the world of Los Angeles DUI. Authorities arrested a 19-year-old man for driving DUI on a golf cart that he allegedly stole from the Rose Bowl and used to motor around on the 210 Freeway. As the Oregon Ducks and Florida State Seminoles clashed on Pasadena’s famous gridiron, 19-year-old Andrew Aldridge was clearly distracted by thoughts of how to get back to his car. Instead of taking a shuttle or a cab or hitching a ride with friends, he allegedly decided to do something a little more off-kilter and nabbed a 9-person golf cart from the stadium. Driving an exposed and slow golf cart on surface streets is dangerous enough, but taking such a vehicle onto a Southern California freeway is an act on the verge of madness. As long-term readers probably remember, this blog has covered over a dozen instances of golf cart DUI over the years. 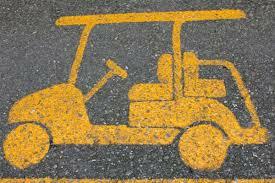 While each story often appears ridiculous, reckless golf cart driving can be a serious concern. Caddyshack is not real life. If you flip over a golf cart or hit someone with a golf cart or crash into a speeding truck on the freeway, you can get hurt or killed… or you can hurt or kill someone else. Prosecutors can charge offenders according to California Vehicle Code Section 23152, which mandates all sorts of intense punishments for DUI, including jail time, forced alcohol education classes, probation, fines, fees, and driver’s license suspension. For help defending against your allegations – whether you did something wrong (ridiculous or not) or you believe that the police made a mistake or that the breathalyzer tests give an errant result – talk to an experienced Los Angeles DUI attorney with the Kraut Law Group today to explore your potential legal options. Call us now for a free consultation.